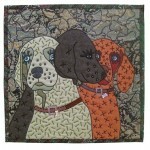 On Monday, we announced the winners of “Animals We Love,” the Quilt Alliance’s 9th annual quilt contest. We were thrilled to receive so many stunning, well-crafted, and story-rich entries this year. When Alliance board members e-gathered last spring to conceptualize the 2015 theme, we agreed that we wanted to offer a topic that would have broad appeal. We wanted a subject that quilters bond over when they’re not bonding over quilting. 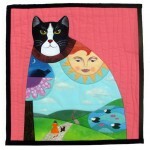 I shared with the group that some of our most popular posts on the Quilt Alliance Facebook page have featured my cat, Frazier Duane. Lightbulb: Animals We Love! We kept the theme open-ended as we have with all of our contests. The only requirements were size (16″ x 16″) and “quiltiness” (had to be made of 3 layers stitched together). 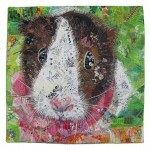 Animal-adoring quilters from 23 U.S. states and 6 countries mailed us their gorgeous artworks. 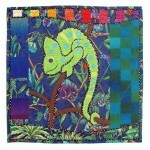 International entries came from Australia, Belgium, Canada, Sweden and the United Kingdom, and several entries are the result of a collaboration of two or more quilters. 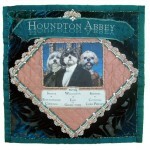 I first learned about the “Animals We Love” contest through “The Quilt Show” newsletter. 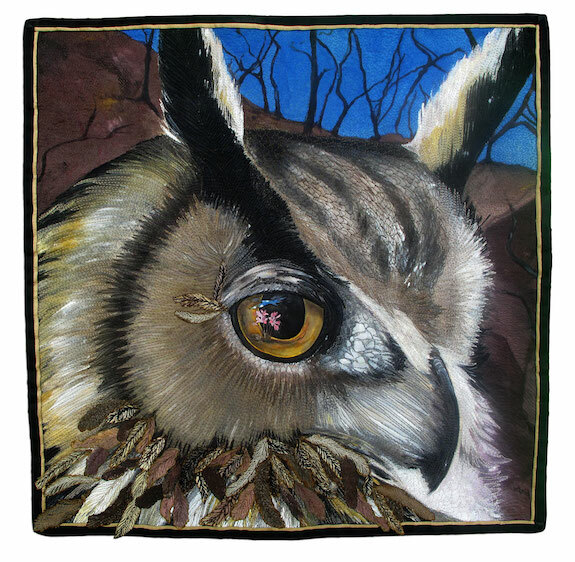 I have always loved animals and I thought making a quilt would be a nice way to support an organization that does such great work for the quilting world in preserving the stories of quilts and quilters. I was just hoping that the quilt would raise some money for The Quilt Alliance at auction. So imagine my absolute surprise and delight when I received the call from Amy Milne informing me that I won the grand prize. Wow!!! What an honor—especially given all of the wonderful and varied quilts in the contest. I had a hard time choosing my own favorite for the member’s vote. 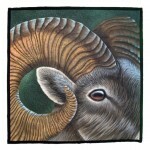 I have always been a hand quilter but have often admired the beautiful machine quilting that is being done now. 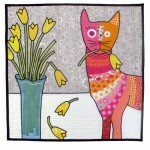 So with the prize of the Handi Quilter Sweet Sixteen I am looking forward to trying my hand at something new. I have heard many great things about this particular machine. I can’t wait to start this new adventure! 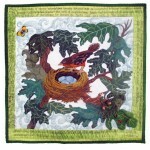 Thanks to Handi Quilter for being such a generous sponsor in this contest. Thanks also to all of the quilters who donated their time and talent in a show of love for animals and support for the Quilt Alliance. And a very special thanks to The Quilt Alliance for all of the hard work that you do in promoting quilting and in saving our heritage by preserving our stories. 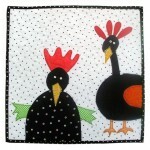 Watch and listen to a Quilters’ S.O.S. – Save Our Stories interview with Handi Quilter Grand Prize winner Nancy S. Brown conducted on June 10, 2015 by Quilt Alliance staffer Emma Parker here. Many thanks to all who participated in the “Animals We Love” competition—you charmed, delighted, and intrigued us with your many and varied reflections on the animal kingdom. The three of us were pleased to have the opportunity once again to get on the phone together to “ooh” and “aah” as we clicked back and forth on the various entry images, enjoying them so much, and gradually narrowing down our choices. This year’s Grand Prize goes to “Giraffe Nocturne.” All three of us had this particular entry squarely among our top saves. 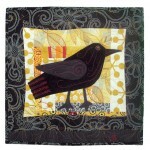 We love the maker’s fabric choices and skilled use of needle-turn applique. 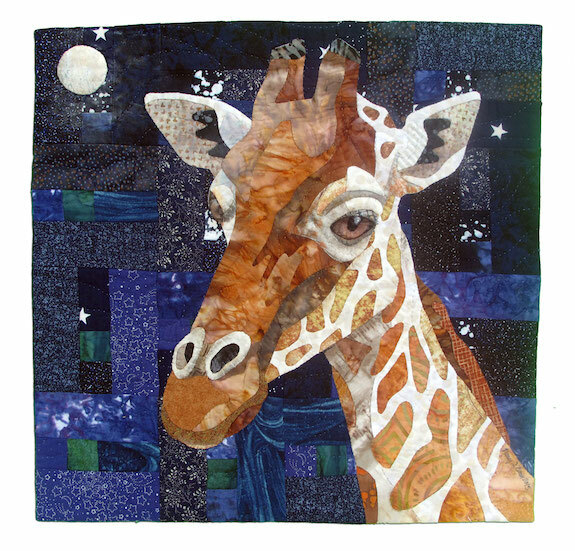 This is a work where everything—the pieced background with its distant moon, the composition of the giraffe in the foreground, and the many details such as the animal’s expressive eye—works together perfectly. Congratulations to the artist! Because the quiltmaker took a creative risk and interpreted the competition’s theme in a totally different way and style than the other entrants, Bzzzzz immediately caught my attention and interest. The pieced work, with its clean and graphic design shapes, was appealing to me. Blending a combination of the modern aesthetic (more than average negative space, solid and contrasting color combos, a sense of minimalism) with traditional piecework (matching points, traditional quilting, a variation on a traditional Lone Star quilt pattern) was both interesting and appealing. 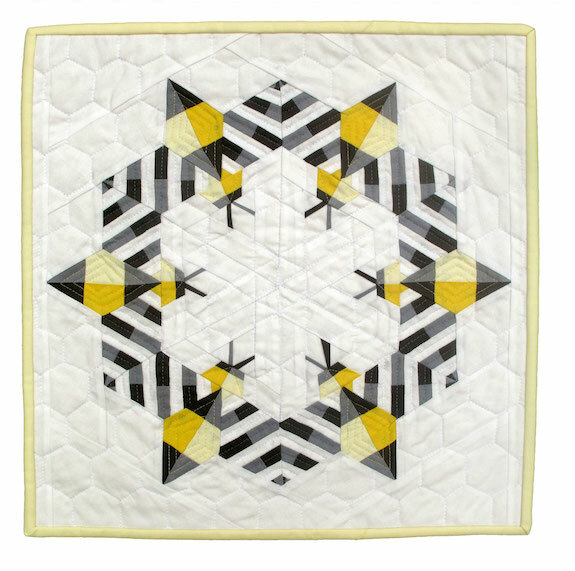 The use of the grey and black pieced strips in the bees’ wings adds movement and depth, while the soft hued binding only complements the totality of the piece rather than abruptly stopping the eye with a more predictable choice of bright yellow, black, or grey. Frankly, there was nothing that I didn’t enjoy about this entry. A high contrast, hot-pink-and-black plaid fabric as the background for pictorial applique would generally be a disaster, but in this artist’s hands it worked perfectly. 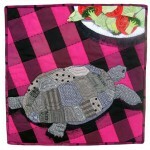 That crazy, bold fabric adds whimsy and humor to the drama taking place on this quilt, i.e., the turtle’s laborious journey toward lettuce, broccoli, and tomatoes. I love the way Grandpa T’s little hind foot breaks the edge of the quilt on the left side. 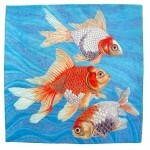 The fabrics the maker chose for his shell are perfect, and the quilting on the shell panels add great realism. The shading under Grandpa T’s shell and the luncheon plate, the big-stitch quilting in the background, and the loose-edge applique used for the vegetables all work together beautifully. The big risk this artist took really paid off for me! As judges, we’d also like to send shout-outs to five other entrants. We spent a lot of time viewing their quilts, enjoying them, making the difficult decisions of just which quilt would be the Grand Prize winner and which three would be our personal choices. We want these makers to know their terrific quilts were in the running! Finally, big thanks to Amy Milne for getting us all organized and together in one (virtual) spot, as well as to Lisa Ellis who designed the fantastic software (ArtCall) we used for the judging process. It was great! Quilt Alliance members also weighed in on the contest entries, and their votes determined the 1st, 2nd, 3rd and Honorable Mention winners. It was a tough choice and even required a run-off election to determine 2nd and 3rd place! I am truly honored to have so many Quilt Alliance Members and Mark Lipinski select my mini quilt, Bzzzzzz, as their favorite. As a member and a quilt donor, I am proud to support the Quilt Alliance and the important work they do. Your generous award will definitely go a long way. We can’t wait to see all the wonderful Moda Fabrics, Aurafill thread and Simplicity/EZ Quilting Accessories, with a big expression of our thanks to your sponsors. We hope your fund raiser brings in the needed funds for you to continue all your hard work in preserving and educating others about quilts and their stories. 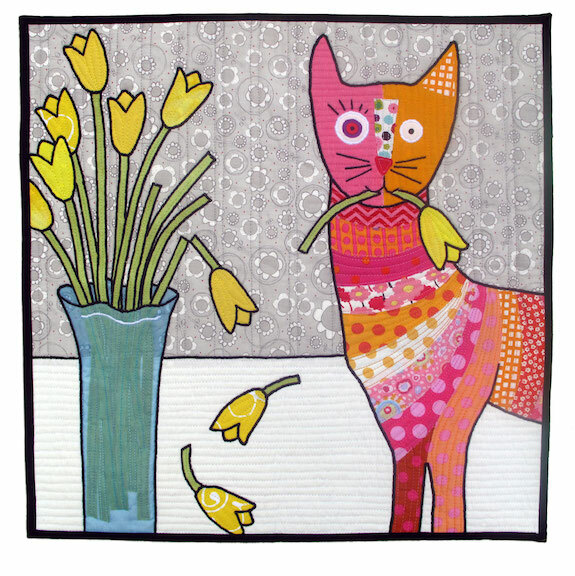 I am so thrilled about winning the 3rd place award and an Honorable Mention for my quilt, Innocence, which features our little mischievous kitten! And, I am grateful for an opportunity to give back to the Quilt Alliance. I appreciate the work that they do to preserve our stories and our history as quiltmakers. It is an honor! 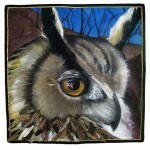 You can view all of the “Animals We Love” contest quilts on the Quilt Alliance website here and on The Quilt Index here. We’d like to thank all of the artists who donated quilts for this year’s contest! After a national exhibition tour that began on June 8 at the Utah headquarters of Handi Quilter, Inc, and includes stops at American Quilter’s Society and Original Sewing & Quilt Expo shows, the quilts will be sold via an online auction in November, 2015. The auction is one of the Alliance’s most important annual fundraisers and provides crucial funds that support the operation of projects like Quilters’ S.O.S. – Save Our Stories and Go Tell It at the Quilt Show! It isn’t difficult to see that you all had your work cut out for you in choosing winners. WOW! Some fantastic work..I especially like the giraffe, mountain sheep, the owl, the guinea pig, and the koi…beautiful, beautiful work!! Thank you to the Quilt Alliance, members, judges and all of the wonderful sponsors .I hope Bzzzzzz raises A LOT of money for the Quilt Alliance and it’s important mission!